by Gary Bauer, Contributing Author: Sanders Slander - Earlier this week, the Senate Budget Committee convened to consider the nomination of Russell Vought to be Deputy Director of the White House Office of Management and Budget. What happened next was an astonishing display of left-wing religious bigotry. Led by Vermont Grand Inquisitor Bernie Sanders, Vought quickly found that his budget skills were not the main issue of his confirmation hearing. Rather his Christian faith was on trial. Sanders, as well as Maryland's Chris Van Hollen, railed against Vought for daring to defend the orthodox Christian beliefs of Wheaton College. Read the exchange here. Sanders concluded his absurd and unconstitutional inquisition by stating, "This nominee is really not someone who this country is supposed to be about." All Sanders proved was that he is a bigot for opposing a nominee solely on the basis of his faith! I wonder if Sen. Sanders intends to question future Muslim nominees about the tenets of Islam, the meaning of jihad, and whether they consider Christians to be infidels. Somehow I suspect it would never occur to him. The "tyrants of tolerance" celebrate men who think they are women while doing everything they can to drive traditional Christian beliefs out of the public square and into the closet. The Washington Leaker - Fired FBI Director James Comey made a stunning admission during his testimony before the Senate Intelligence Committee: He had given a memo he wrote while he was FBI Director (thus the memo was the property of the United States government) to a Columbia professor. Comey asked his friend to leak it to the media. James Comey, clearly a deep state resister against the Trump presidency, cooperated with a left-wing academic to plant a story in the left's flagship newspaper, the New York Times, hoping to hurt the president by forcing the appointment of a special counsel. Jim Comey may not have been able to bring Hillary Clinton to Justice, but he sure knows how to damage the duly elected president of the United States! Republican senators did a reasonably good job of cross-examining Comey during yesterday's hearing. They did get Comey to say on the record that President Trump was not under investigation, that no one asked him to back off on the Russia investigation and that Russia did not manipulate votes in last year's election. "Excuse me, Mr. Comey, but did I just hear you correctly? You were the director of the FBI. You were supposed to be prosecuting leaks. How would you have reacted if one of your subordinates disagreed with one of your decisions and leaked it to the press? Last month, sir, you told the Senate Judiciary Committee, 'Leaks are always a problem, but especially in the last three to six months.' Now you tell us that you were part of the problem! "If just one GOP senator had seized the opportunity to justifiably rebuke Comey as the "leaker-in-chief," that person would be a hero to conservatives today. The Georgia Leaker - NSA leaker Reality Winner was arraigned in a Georgia court yesterday. Recorded phone calls show she is a master manipulator. Winner told her mother to transfer $30,000 from her checking account so she would appear poor enough to qualify for a public defender. She also told her sister that she had an advantage in court because she was "pretty, white and cute." Clearly, she had bought into the left's delusional nonsense about "white privilege" if she thought that was enough to get her out of jail. Prosecutors also revealed that Winner had "plans to burn down the White House and travel to Afghanistan, pledging her allegiance to the Taliban." That certainly adds some additional context to her support for the Islamic regime in Iran. Thankfully, the judge denied bail, declaring Winner a flight risk if released. I have complained about Muslims who have not cooperated with authorities and refused to report radical family members to law enforcement. Just to be fair, what was this Georgia family thinking? By the way, fired FBI Director James Comey would undoubtedly have condemned Winner's action. She probably thought that Comey was part of the corrupt government establishment. But they are both engaged in trying to bring down President Trump, whose mantra is America first. Jihad In America - Authorities in Washington, D.C., have charged two men -- Dwayne Nicholas Taylor and Brandon Figures-Mormon -- after the pickup truck they were driving last night plowed into two D.C. police officers and a traffic control aide at a high rate of speed. Both men are facing charges for weapons found in the truck, while Figures-Mormon is charged with assault with intent to kill. Washington authorities are not commenting on a motive yet, but they would not rule out terrorism. Ali Kourani of New York and Samer el-Debek of Dearborn, Michigan, were arrested last week and charged with being agents of the Iranian-backed terrorist group Hezbollah. According to the federal indictment both men had received terrorist training in Lebanon and were recruited to spy on Israeli targets in New York City and Panama. Both Kourani and el-Debek are naturalized U.S. citizens. Reuters reports today that federal officials are investigating Imam Ahmad Musa Jebril as a possible source of inspiration for the recent London terrorist attacks. Unfortunately, Jebril is a known Islamic extremist based in Dearborn, Michigan, who disappeared after last week's attack. President Trump spoke to Christian conservatives at the Road to Majority conference this week. He told the audience, "We will always support our evangelical community and defend your right . . . to follow and to live by the teachings of [your] faith. . . You fought hard for me and now I'm fighting hard for all of you." President Trump nominated another slate of conservative judicial nominees. Conservative legal scholars have hailed the president's picks as "superlative judicial nominees with sterling credentials and impressive intellects." 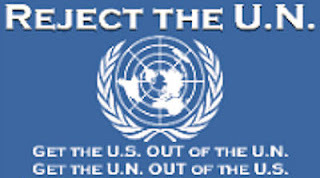 U.N. Ambassador Nikki Haley blasted the United Nations Human Rights Council (which counts China, Cuba and Venezuela as members) for its anti-Israel bias and warned that the council was not "a good investment of [America's] time, money and national prestige." Attorney General Jeff Sessions shut down a major stream of funding to left-wing groups. The Obama-era slush fund was created when Obama's Justice Department started forcing companies to pay third-party organizations, always left-wing groups, as a condition of legal settlements. The House of Representatives passed legislation last night repealing most of the burdensome Dodd-Frank regulations. As Rep. Jeb Hensarling put it, Dodd-Frank "was not a response to the financial crisis, but a grab bag of leftist ideas that were waiting on the shelf for quite some time." A recent law enforcement operation resulted in scores of criminal illegal aliens in Texas and Oklahoma being taken off the streets. A coalition of 16 states filed a brief with the Supreme Court supporting President Trump's national security executive order limiting immigration from six countries where Islamic supremacism runs rampant. Tags: Gary Bauer, Campaign for Working Families, Sanders Slander, The Washington Leaker, James Comey, The Georgia Leaker, Jihad In America, Good News To share or post to your site, click on "Post Link". Please mention / link to the ARRA News Service and "Like" Facebook Page - Thanks!